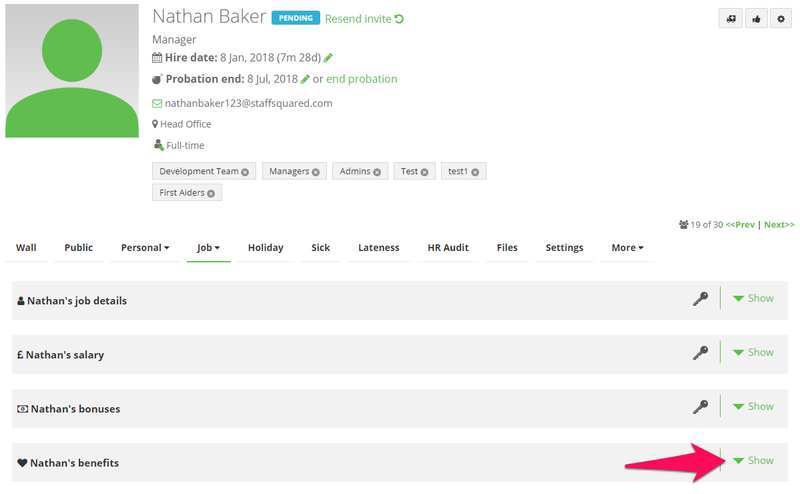 Once you are on the staff member's profile, navigate to their Job tab and scroll down until you see name's benefits. Click Show to access their bonus information. This will prompt a new dialog box to appear which will allow you to enter a title, start and expiry date and value. You also have the option to upload a file to support the benefit and add any notes if needed. Once you are happy with the information you have entered, click Add. 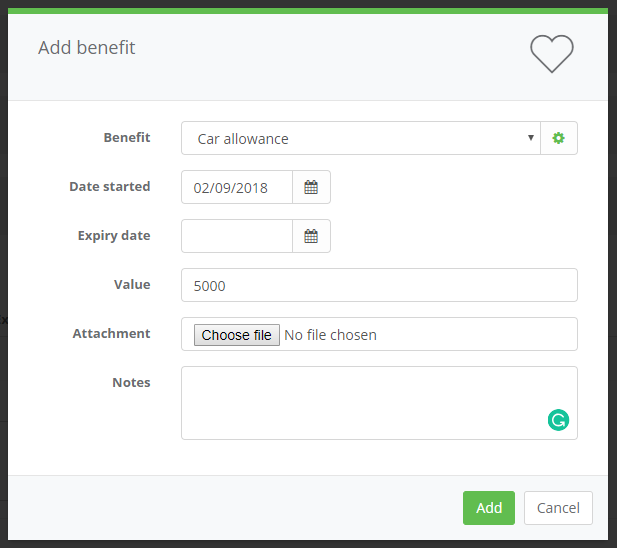 The new benefit will then appear in the list in date order. 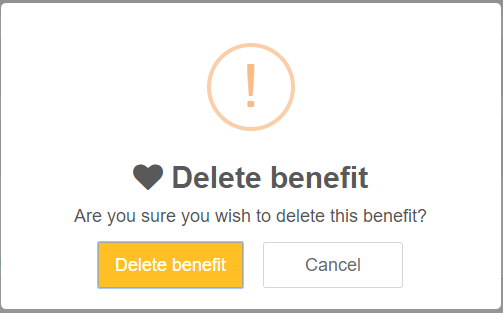 To delete a benefit, click on the red cross. You will receive a Dashboard and email notification when a benefit is about to expire. You can manage these reminders in your company settings.